comedian, podcaster, actor, improviser & writer. Hello there! I am very glad you clicked on through to my face. My name is Cariad and I do a lot of things because it’s hard to be one thing now thanks to Arts Cuts and the rise of inspirational quotes encouraging us all. Recently named Best British Podcast of the Year, GRIEFCAST is a multi award-winning show that examines the human experiences of grief and death - but with comedians, so it’s cheerier than it sounds. An entirely improvised comedy play in the style of Jane Austen, based on nothing more than a title suggested by the audience. Performed in full Regency costume, with live musical accompaniment, Austentatious’s past works include ‘Bath to the Future’, ‘Strictly Come Darcy’ and ‘Mansfield Shark’. 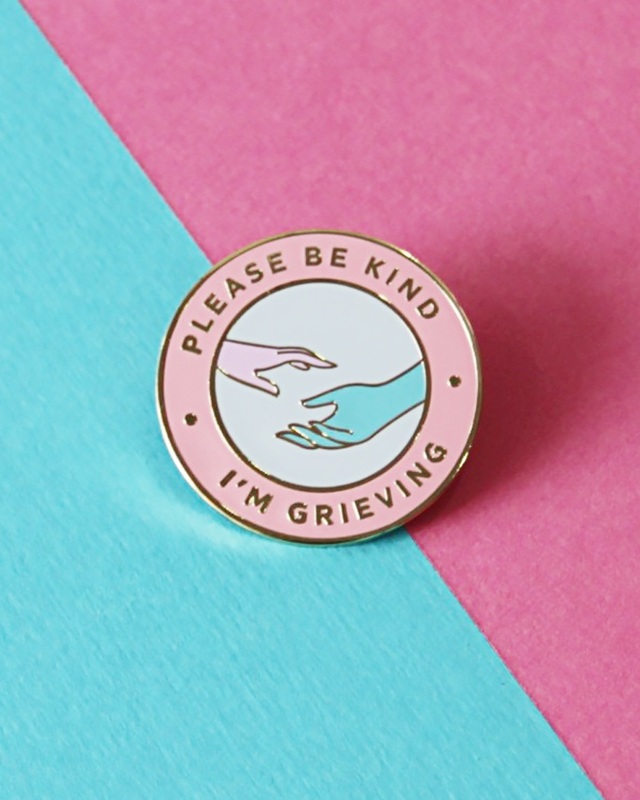 Each enamel badge is designed by Camille Bozzini especially for Griefcast.